Remove-It Products provides the finest line of solutions available for the most demanding commercial facilities. We carry a full line of specialty chemistry to meet the most demanding cleaning and restoration problems facing today's facilities. 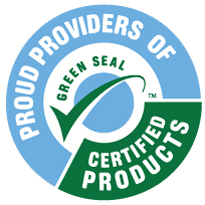 Many of our products have been formulated based on the guidelines outlined by The Carpet and Run Institute (CRI™), WoolSafe®, Green Seal™ and other green certification programs.